A covered wound heals faster than an uncovered one. 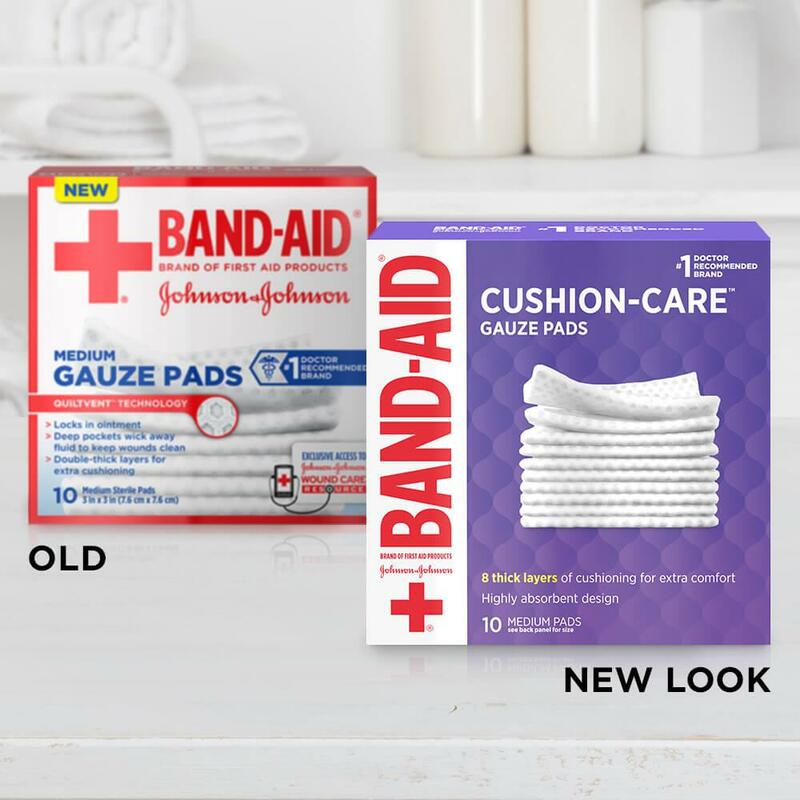 Band-Aid® Brand CUSHION-CARE™ Gauze Pads are designed to protect minor cuts, scrapes and burns. 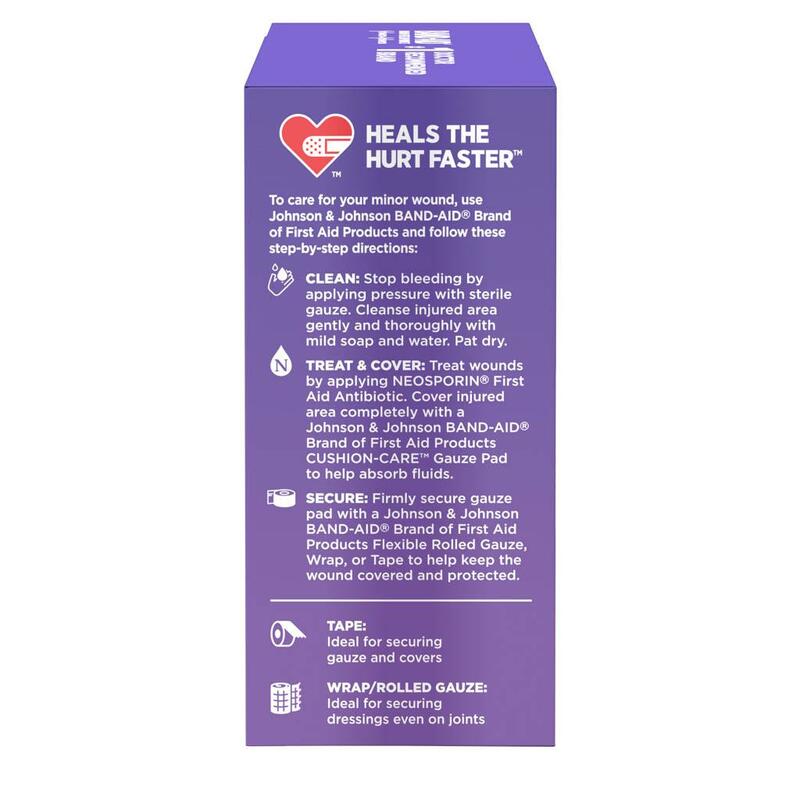 Made with unique QUILT-AID® Technology, these individually-wrapped sterile gauze pads wick away fluid from wounds to help keep them clean. 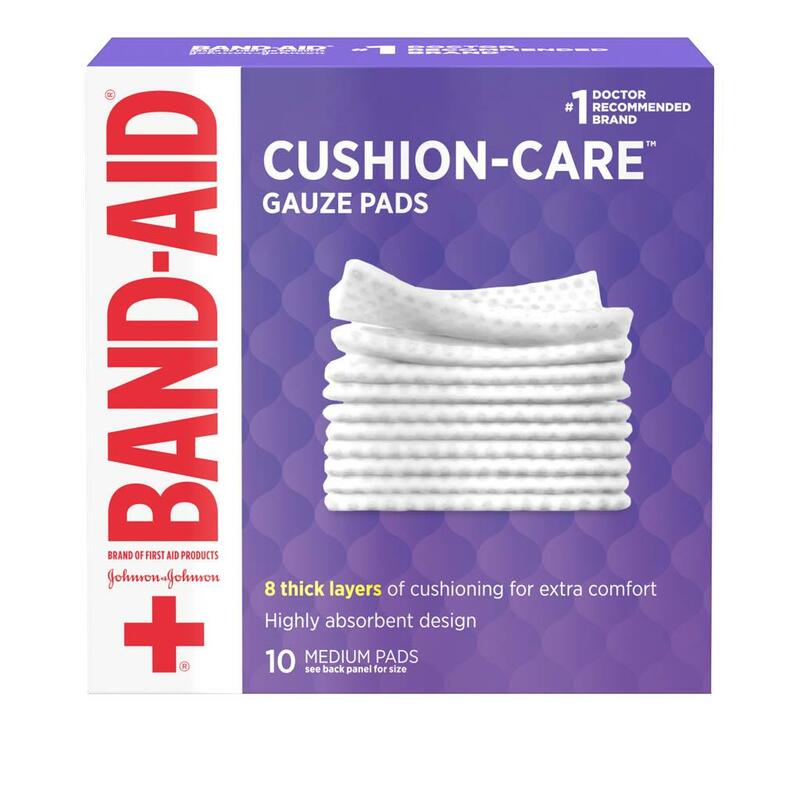 BAND-AID® Brand CUSHION-CARE™ Gauze Pads have 8 thick layers of cushioning for extra comfort. 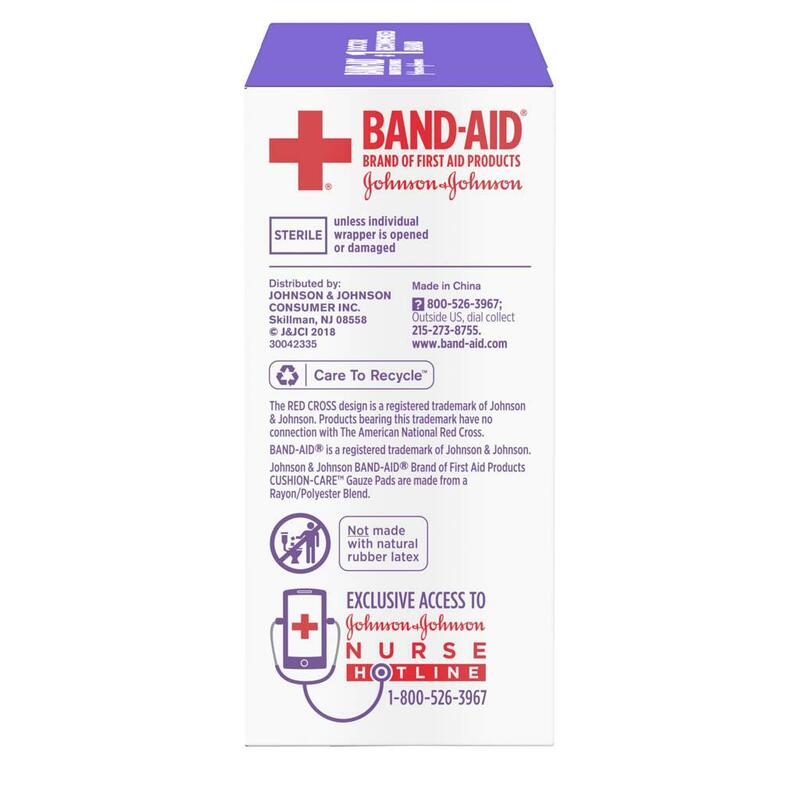 These medium square sterile pads are 3 inches x 3 inches in size and can be used with BAND-AID® Brand of First Aid Products Flexible Rolled Gauze to firmly secure gauze pad in place. 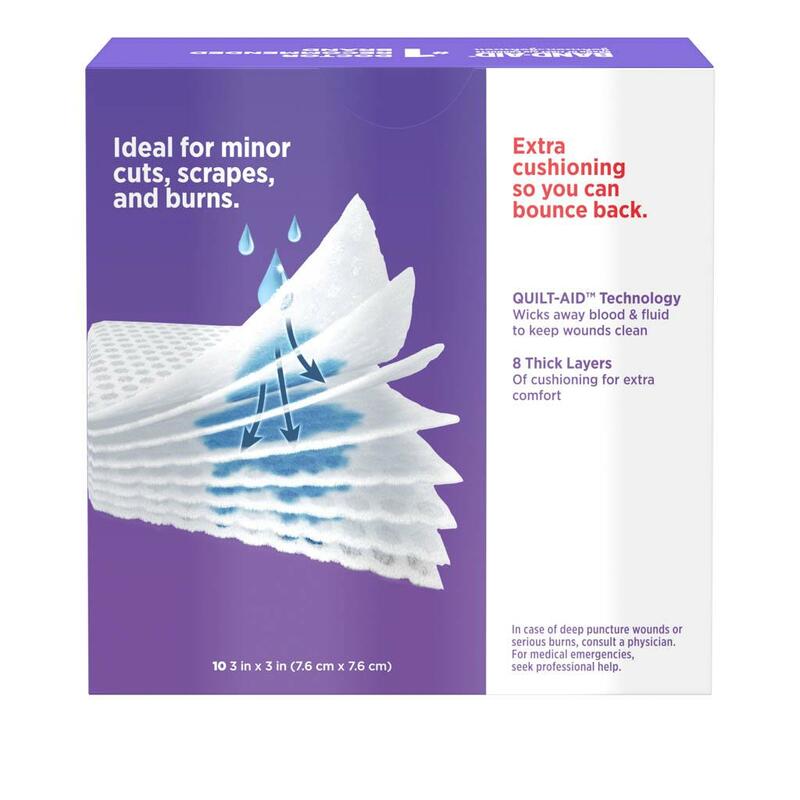 From the #1 doctor-recommended brand, these non-adhesive gauze pads are not made with natural rubber latex.